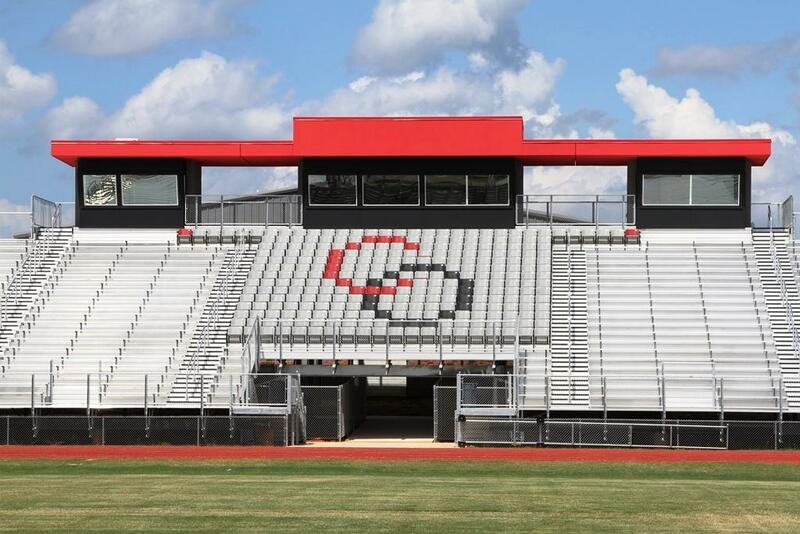 Coldspring-Oakhurst Consolidated ISD is proud to announce that construction of the new Trojan Stadium is on schedule to be ready for the 2018 football season. Season Tickets and reserved seating for individual home games will go on sale at 8 a.m. on Wednesday, Aug. 1, at the COCISD administration building and will be available through the first home game on Friday, Sept. 7th, at the Gate. 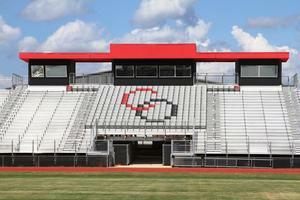 Coldspring-Oakhurst Consolidated ISD is proud to announce that construction of the new Trojan Stadium is on schedule to be ready for the 2018 football season. Season Tickets and reserved seating for individual home games will go on sale at 8 a.m. on Wednesday, Aug. 1, at the COCISD administration building and will be available through the first home game on Friday, Sept. 7, at the Gate. Tickets will be sold on a first come, first-served basis, with seating choice based on availability. A diagram of the reserved seating area is on display in the administration building lobby. Season Tickets for reserved seating may be purchased for $40 ($10 per game), or $12 for individual games. Payment is due at the time of reservation. Cash or check only, credit cards will not be accepted. The Trojan Varsity Football Home Schedule this year features four games, as follows: Sept. 7 - vs. Shepherd (Opening Night), Sept. 28 - vs. Franklin, Oct. 12 - vs. Diboll (Homecoming), and Nov. 2 - vs. Elkhart (Senior Night). For more information, contact COCISD Athletic Department Secretary Robin Schaeffer at 936-653-1115 or email rschaeffer@cocisd.org.